SHORTLISTED FOR THE COSTA BIOGRAPHY AWARD 2015 LONGLISTED FOR THE ORWELL PRIZE 2016 A RADIO 4 BOOK OF THE WEEK 'A passionate memoir.' 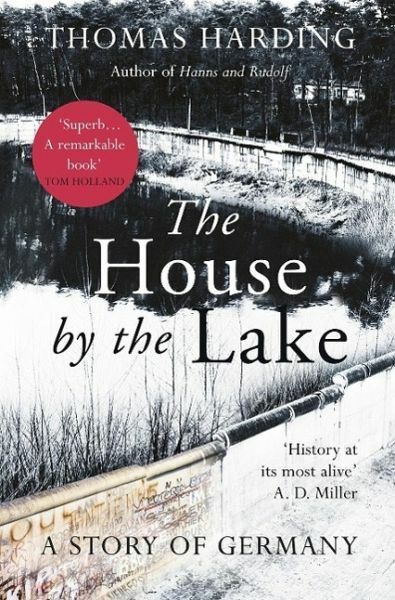 Neil MacGregor 'A superb portrait of twentieth century Germany seen through the prism of a house which was lived in, and lost, by five different families. A remarkable book.' Tom Holland 'Personal and panoramic, heart-wrenching yet uplifting, this is history at its most alive.' A.D. Miller In 2013, Thomas Harding returned to his grandmother's house on the outskirts of Berlin which she had been forced to leave when the Nazis swept to power. What was once her 'soul place' now stood empty and derelict. A concrete footpath cut through the garden, marking where the Berlin Wall had stood for nearly three decades. In a bid to save the house from demolition, Thomas began to unearth the history of the five families who had lived there: a nobleman farmer, a prosperous Jewish family, a renowned Nazi composer, a widow and her children and a Stasi informant. Discovering stories of domestic joy and contentment, of terrible grief and tragedy, and of a hatred handed down through the generations, a history of twentieth century Germany and the story of a nation emerged. Thomas Harding is an author and journalist who has written for the Financial Times, the Sunday Times, the Washington Post and the Guardian, among other publications. He co-founded a television station in Oxford, England, and for many years was an award-winning documentary maker. He also ran a local newspaper in West Virginia, winning the West Virginia Association of Justice's Journalist of the Year Award, before moving back to England in 2011, where he now lives with his family. He is the author of Hanns and Rudolf, a Sunday Times bestseller and winner of the JQ-Wingate Prize; the internationally acclaimed Kadian Journal: A Father's Story; and The House by the Lake, a Costa Biography Award and Orwell Prize nominee. "It would be hard to write an original and moving account of the tortured twentieth-century history of Germany. But, in The House by the Lake, Thomas Harding succeeds remarkably... a tragic and beautifully told history."